My oldest son was 18 months old and could not sleep unless I was in the room with him (clearly, first child syndrome). Once he would close his eyes, I was free to start tip-toeing out of the room. Creak! Eyes wide open, and we were back to square one. This kept happening night after night, and the process kept getting longer. Until I reached my breaking point and purchased a Summer Infant video baby monitor with a talk-back feature. I put my son to bed and quickly walked out of the room, to which he responded by standing on his bed and screaming. I hit the talk-back feature and said in a stern voice, “GO TO SLEEP.” Dazed and confused, he looked around the room as if God himself was speaking and he slowly lay back down. Since then, my wife and I live and die by the video monitor. We bring it on vacation. We watch our kids play in the basement while enjoying a cup of coffee or watching TV. We have used the same Summer Infant video monitor for all three of our children. This device literally made my life better. The technology behind video monitors has improved drastically since then. Now, you can watch your baby on your iPhone, check the room temperature, and receive alerts when your baby moves. Two-way communication: Sometimes referred to as two-way talk-back, this feature lets you talk to your child through the monitor. Take it from my experience: two-way communication is a must-have. Battery life: Trust me, you don’t want to be hooked to the charger all the time. Increased battery life gives you more flexibility to be productive or enjoy your downtime. Range/connectivity: Along the same lines as battery life, greater range or Wi-Fi connectivity gives you greater personal freedom while the baby naps. You’ll also come across a few more advanced features that sound really nice but have little practical application for parents who have been around the block. For example, temperature monitoring is highly overrated. It’s called a thermostat and everyone’s got one. Another example is motion detection. While some parents may like to be alerted that their child is awake, most parents aren’t going to disturb a child who is content in the crib. The reliable audio feature will tell you if your child is in need. The Sumpple S822P gives you a bunch of design features. Of course, it is compatible with iPhone and iPad, as well as tablet PCs and Android. The video is live-streamed via a Wi-Fi network, and camera operation is controlled by a software app. The most appealing technical characteristics are the various detection capabilities that will satisfy even the most worried parents. These capabilities include motion, sound, temperature, and humidity. 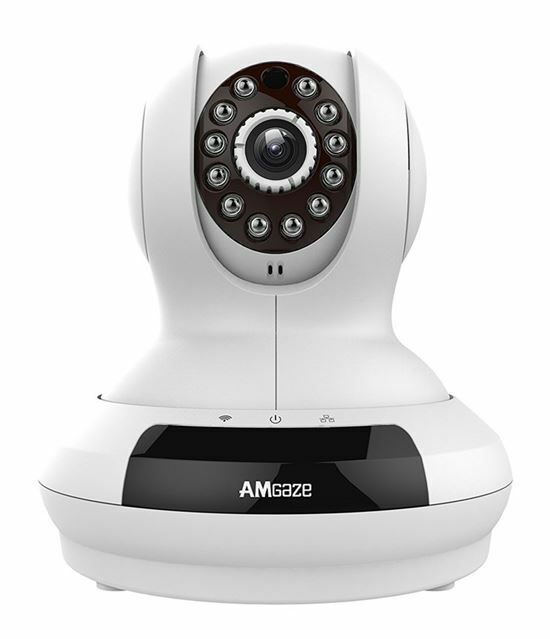 In addition, the S822P has night vision up to 15 meters and remote, 340-degree pan and 120-degree tilt. The video monitor also has two-way talk back feature, 8x digital zoom, and can play music to soothe your child. From a technical perspective, this monitor does it all. As for drawbacks, some consumers reported issues connecting the camera to the Wi-Fi, which would obviously derail the product’s capabilities. Many parents are also cynical of monitors connecting to Wi-Fi after several incidents in which hackers penetrated the network and made threatening comments to babies. Scary. The Hello Baby video monitor is a great option for its retail price of $79.99. It really has all the essential features to ensure your baby is comfortable and safe. This monitor includes the following standard features: 2X digital zoom, manual pan and tilt, night vision, and two-way communication. The best design feature is the extended life battery, which lasts up to eight hours. Another highlight is an extended transmission range of 960 feet and the ability to monitor temperature. You can also use this monitor with up to 4 cameras to maximize room coverage. The Hello Baby monitor has two notable drawbacks. First, this monitor does not connect to Wi-Fi and is not compatible with iPhone or Android. The second drawback is that the screen is only 2.4 inches, which is smaller than most monitors in the marketplace. 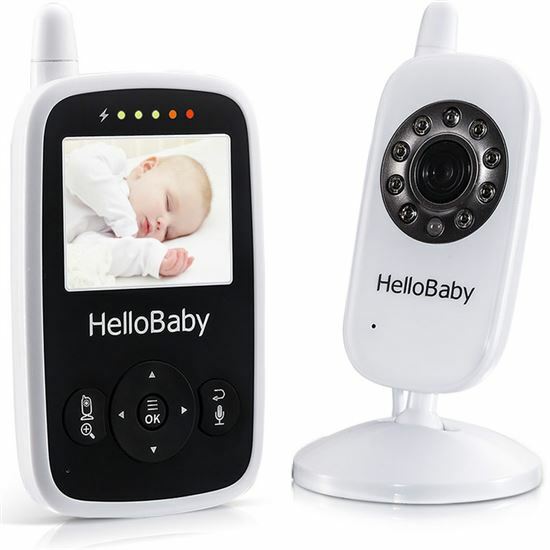 Retailing for just $68.99, the Baby Lovess Wireless Baby Camera is a highly rated and affordable option for parents who prioritize Wi-Fi compatibility. The price is cheaper as parents can utilize their phone as the viewing device instead of purchasing a display or two. This product is advertised as super easy to install, with the manufacturer claiming it can be set up in 3 minutes or less. Most impressive about the Baby Lovess monitor is that parents will not sacrifice advanced features for the price. This monitor comes with standard features like night vision and two-way communication. Surprisingly for the price, the monitor allows for recording and sharing videos and pictures, in addition to motion detection. Like the aforementioned monitors with Wi-Fi connectivity, one drawback is the potential for a hacking incident. Privacy and security is a show-stopper for some parents, but this is a great option for those who have accepted that risk. In my opinion, the likelihood of this happening is low, but there are a few documented incidents to raise concern. Clearly, baby monitors have come a long way since the days of static, audio-only units. 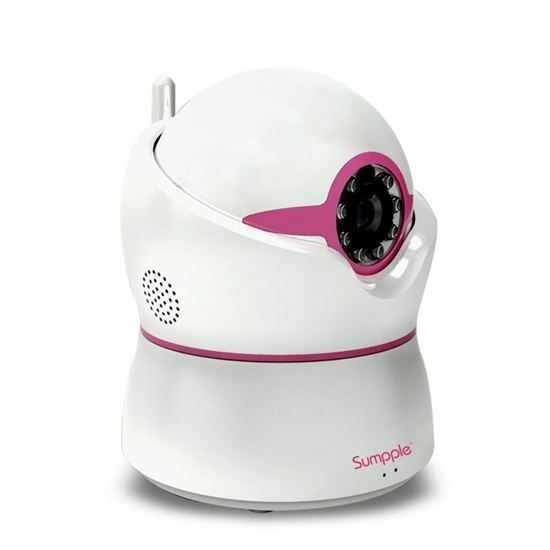 Share on Facebook "Best Baby Monitor"